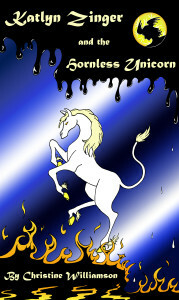 Katlyn Zinger and the Hornless Unicorn is a contemporary fantasy novel currently available in multiple e-book formats! It’s General Audience oriented, so the whole family can enjoy, and it’s lots of fun to read out loud. Katlyn Zinger is an ordinary little girl. 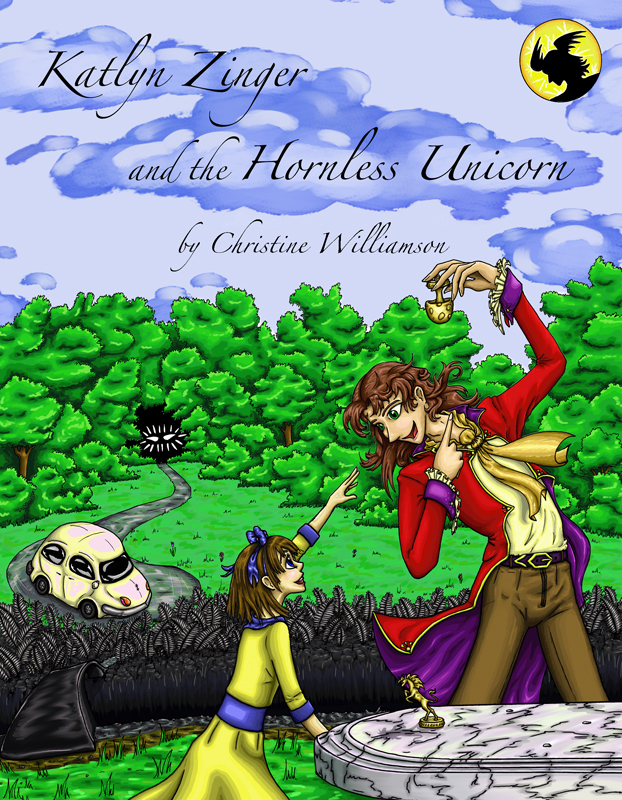 And it’s perfectly ordinary for a little girl to discover that she possesses a not-so-ordinary talent when special powers like the Zinger Sight run in her family. Silas is an ordinary, entry-level businessman. And at Monotech Inc. it’s perfectly ordinary to wear soul-sucking black while working double-overtime and humoring management’s creepy golf fetish. Mitchel Zinger was never accused of being ordinary in his life. And with a habit of making curtains out of compasses and an obsessive interest in local Guardian spirits, that wasn’t likely to change. Of course, that the nature preserve next door would spontaneously burst into flames wasn’t likely either. But it did. And now rediscovering a forgotten pact with the Guardian spirits protecting the Zingers’ land may be Katlyn’s only chance at saving her home from an invasive toxic monster and a wicked corporation bent on turning The Yard into a trendy, New Age golf course. 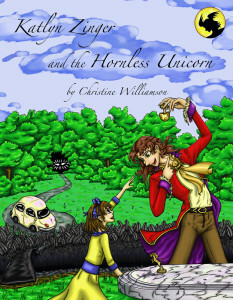 How can an ordinary little girl hope to succeed where Crazy Cousin Mitchel, Grandpa Jasper, and hundreds of Zinger ancestors already failed? Silas might help. But he has his own problems. Unending stacks of paperwork, Mr. Morrigan’s displeasure, crippling bills. And a secret… Oh, his secret! It’s too horrifying to mention. Suffice to say, Silas’s hands are full just holding onto sanity. Download Info: Kendal users can purchase Katlyn Zinger from Amazon here.